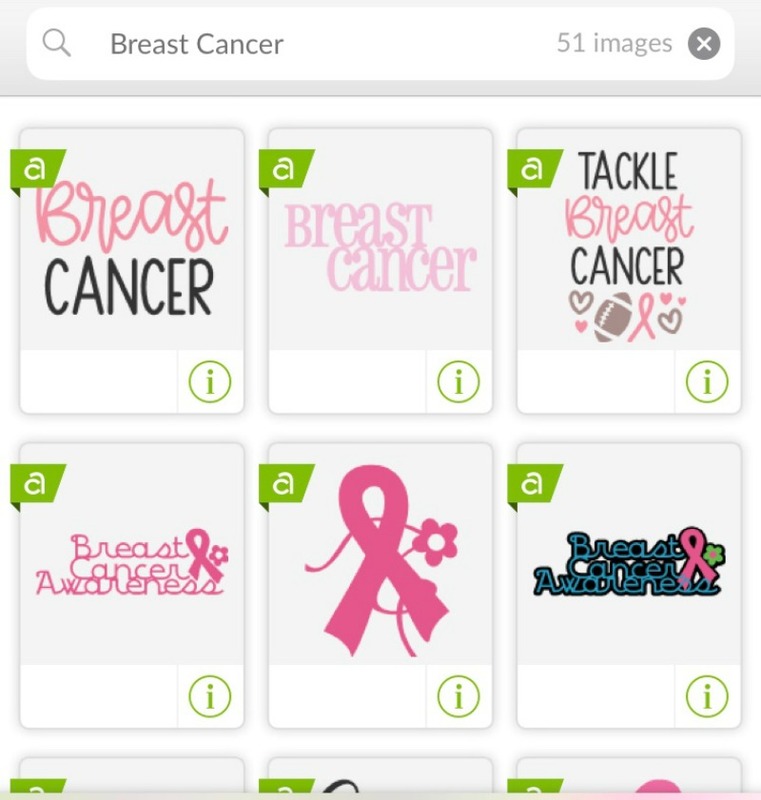 This last weekend, we spent tackling some breast cancer awareness projects. Some were for friends and co-workers while others were for our family supporters. While we were making the projects, someone asked me how I looked for images in Design Space, and she mentioned that she had never seen some of the ways I used to find things. The first thing I do in my search is to scan the main page for any images that might be there – this works best when you are looking for timely content. There is typically a showcase of seasonally relevant images at the top of the page. For example: In the fall, you’re likely to see fall-related designs. When I first logged in to Design Space the other day, there was an image that caught my eye. Next, I click on the ‘I’ in the bottom right corner. When you click the ‘I’, it shows you the title of the Image Set. This one was called ‘I am a fighter’. You can click on that link to take you to the entire image set. It showed me an entire image set that all contained great images I could use for my project. The best part is that these collections typically have similarly themed or coordinating designs so you can use it across a project or a group of projects to give you a cohesive look. If you are looking for an entire theme, you can simply do a search in the top bar. I’ve done the same thing for other topics as well. Don’t forget to use the filters to narrow your search also. 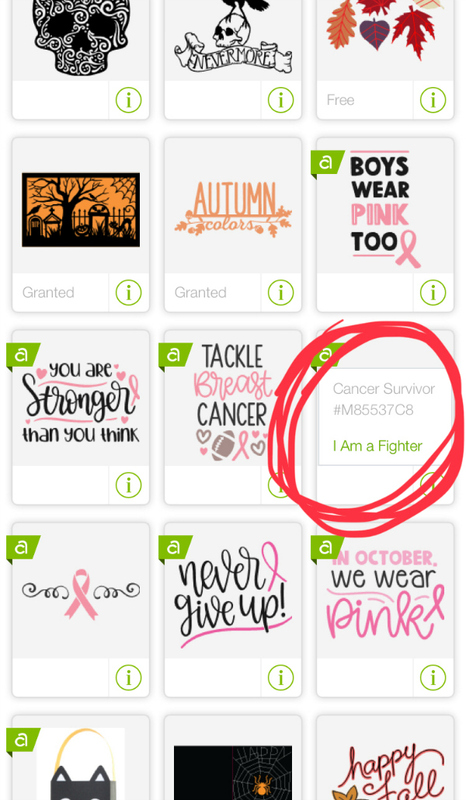 For example: If you’re a Cricut Access Member, you can easily find designs to use with your membership by selecting that filter. If you’re looking for a phrase or saying, I like to start by filtering for phrases. I hope this helps you in your search for designs to use for your project. 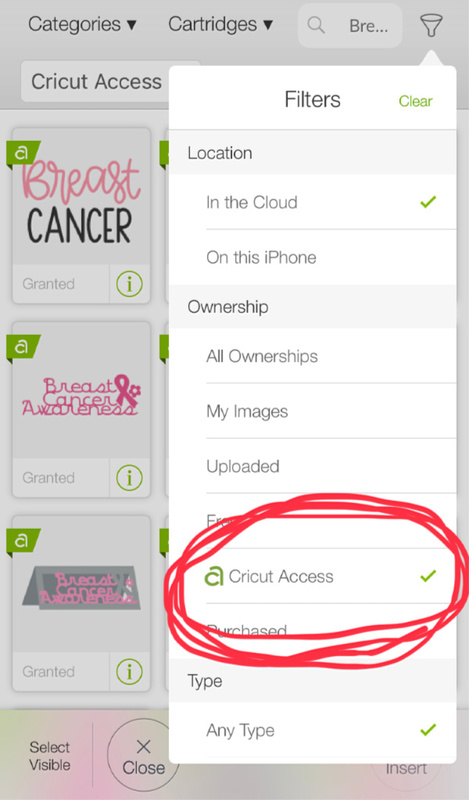 There are over 65,000 designs in Cricut Design Space, and the library grows every day! 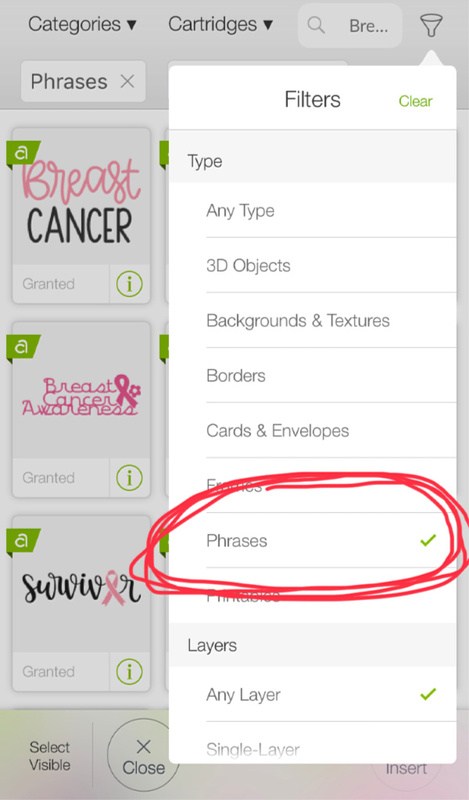 If you want to make any of the awesome Breast Cancer Awareness projects, go for it! 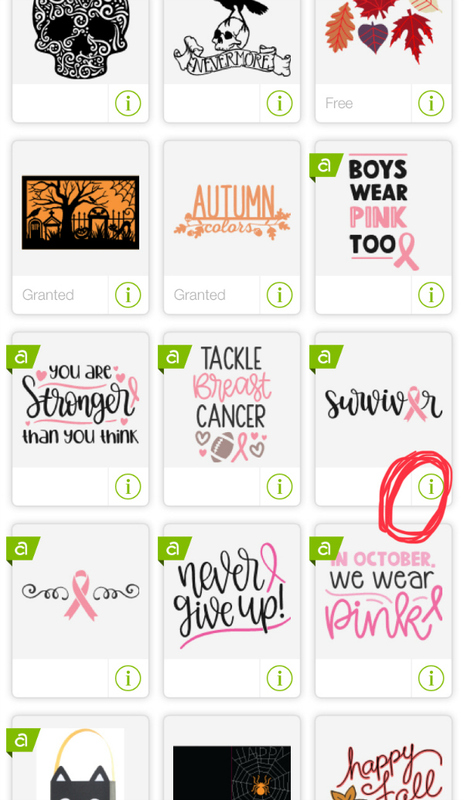 Some of the cutting phrases are so nice; how do I write that phrase using my Cricut pens. All I get is the outline of the phrase. Hi. With the thicker fonts, they may just create an outline. 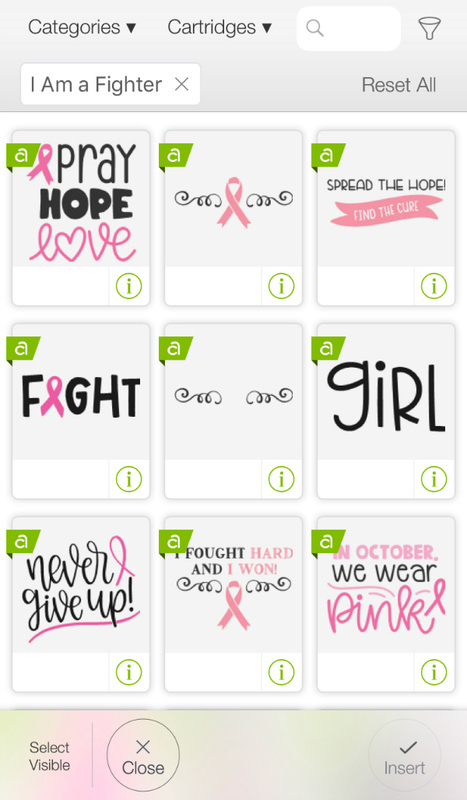 You would have to fill them in yourself if you wished to have solid letters or choose a different design/font.